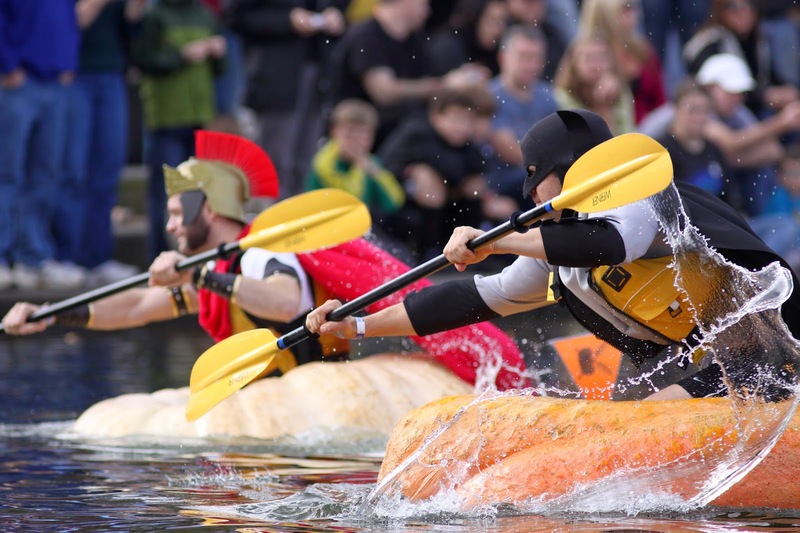 Killer Characters: It's Time for the Giant Pumpkin Regatta! 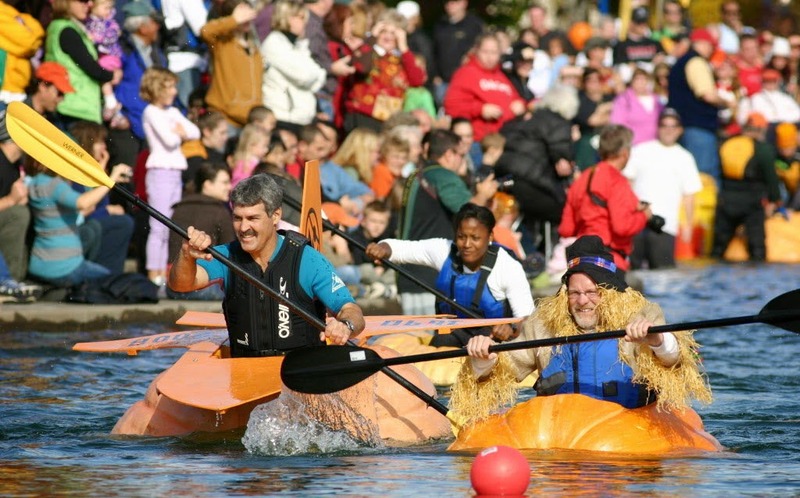 It's Time for the Giant Pumpkin Regatta! 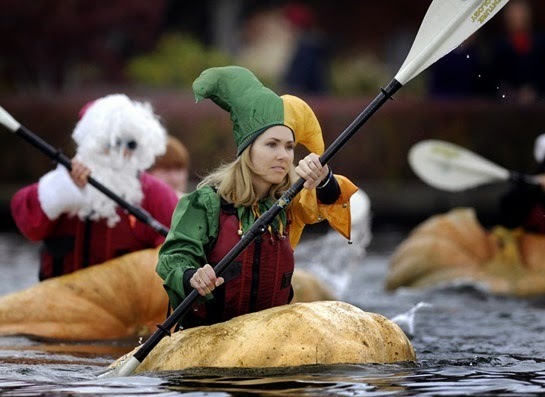 I didn't get to go last year, but this year, Blake, Sadie, Ted, and I are heading to the Giant Pumpkin Regatta in Tualatin. So what if it's an hour and a half away from Tallulah Falls? 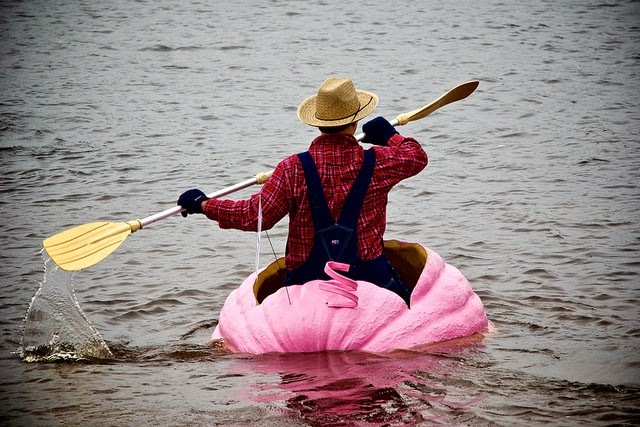 It'll be absolutely worth it once we get there and see people racing across the lake in giant pumpkins! According to the event's website, this is Oregon's top October event, drawing visitors from all over the United States and Canada. 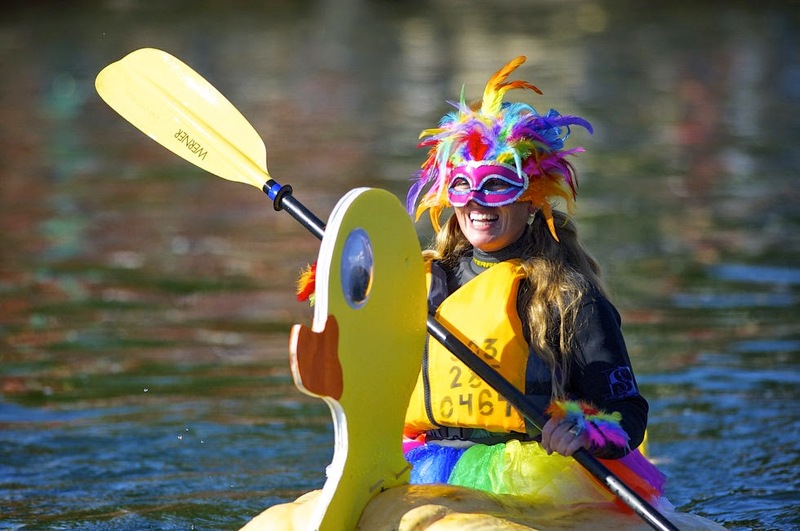 This year's regatta takes place on Saturday, October 18, from 10 a.m. to 4 p.m.
Of course, there are other things going on besides grown people padding around in giant gourd boats...in case you need something other than that. There is a costume contest (did I mention the pumpkin boat captains dress up as superheroes, among other things? ), a pie-eating contest (pumpkin, I imagine), pumpkin golf, pumpkin bowling, pumpkin crafts, pumpkin carving and decorating, and...face painting. Also there will be vendors on hand. If you live in Oregon--or even if you don't--you should join us! It sounds like it will be a lot of fun! So, tell me, would YOU paddle a pumpkin across a lake? Good point, Willow! Hollowing out one of those pumpkins would be really hard work! Could my pumpkin be a zucchini, long and skinny, with room for about 10 rowers? Oh, and can I have a bull horn, too?